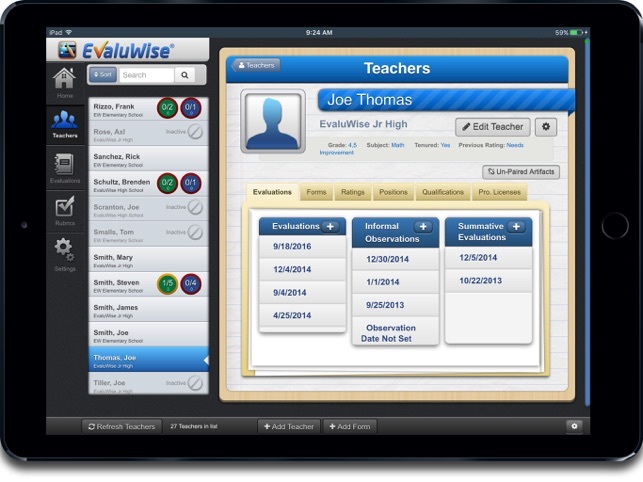 EvaluWise® is the single most effective digital tool for streamlining and improving the teacher evaluation process, regardless of the evaluation model you are using. 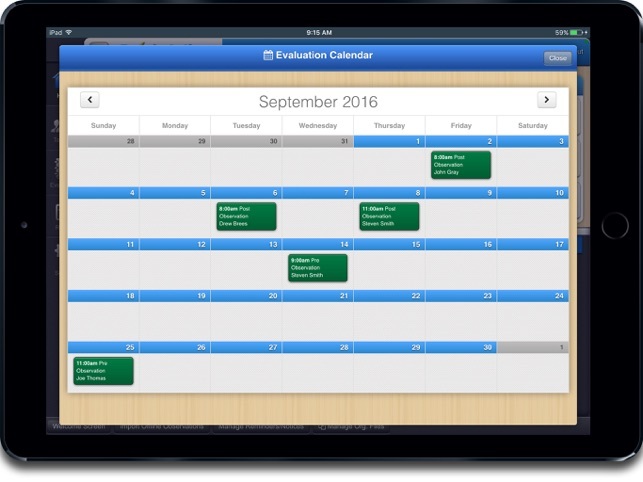 This companion app to the EvaluWise® service makes data entry as simple and easy as possible. 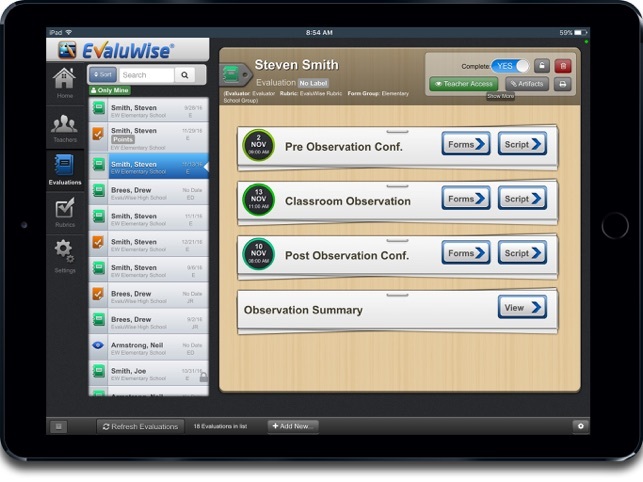 Built from the ground up by administrators and teachers who understand the real-world demands of educators, EvaluWise® improves the accuracy, usefulness and effectiveness of both formal and informal evaluations as well as classroom walkthroughs. Update - Tech support has been helpful is fixing the issues. 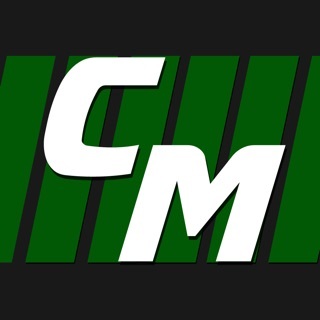 They are great work with and listen. I love using an app. My iPad is so much easier to carry around in and out of classrooms. But if you make an app then I should be able to see the screens. When I script and then want to attach to a domain, the screen is off to the side and I can use it. What a waste! We are sorry you had an issue using the app. 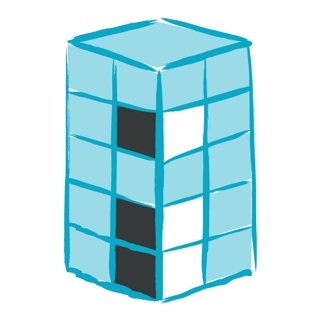 Please reach out to support and we would be happy to help you troubleshoot the issue. 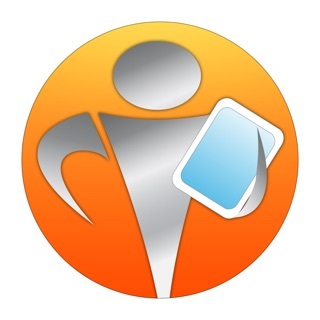 This Is a great product and I'm so happy there is finally a solution like this. 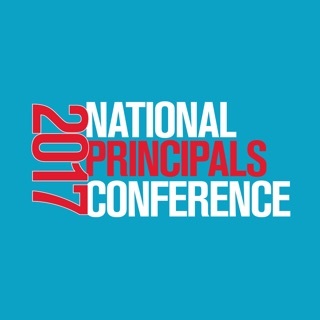 I know that all administrators, principles, assistant principals and teachers are going to benefit from this greatly. The IT staff supporting this solution is very responsive, innovative and a pleasure to work with. When my state first implemented these requirements I thought how would I ever be able to manage all of the data and keep track of so many teacher evaluation. This solution is great it has so many features and they're adding more every day. 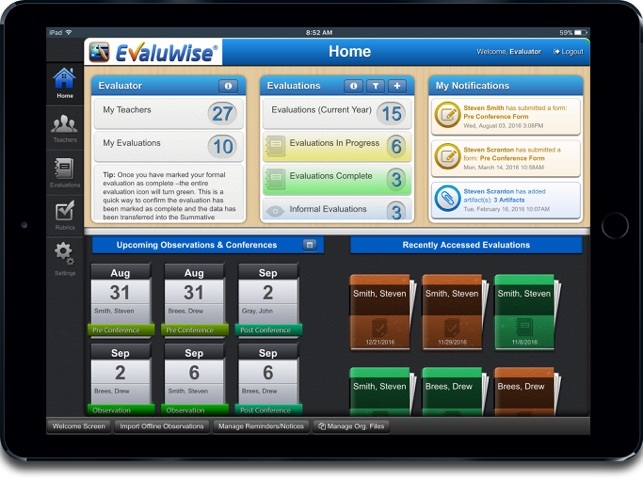 Thank you EvaluWise.